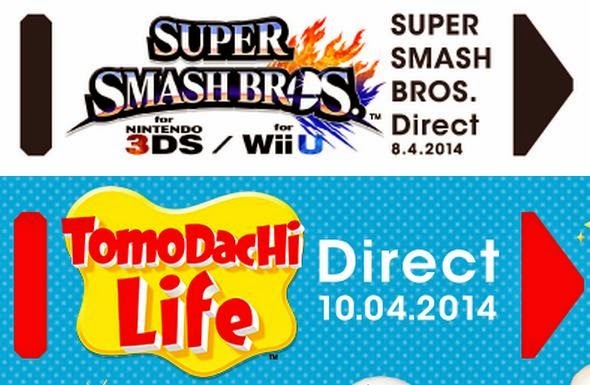 Nintendo has been busy bees lately releasing not one but two Direct's in the last couple of days, the first was all about the new Smash Bros game for Wii U and 3DS, the second was a surprise Direct about a new 3DS title called Tomodachi Life. There was a massive amount of information in the latest Nintendo Direct regarding the next Smash Bros for 3DS and Wii U, I won't even try to list everything that came out of it, but we’ll take a look at some of the highlights. Firstly, both games will have the exact same roster of characters which seems to be getting larger by the minute, what with the regular announcements of new fighters coming from Nintendo on a frequent basis. As well as new fighters there are some fairly substantial changes to a few existing characters. Fighters such as Zelda and Samus, who would change into their alternate versions mid battle, now no longer have those functions, Sheik and Zero Suit Samus are now separate characters all together so you can focus on learning one moveset for a fighter rather than having to juggle two different playstyles. 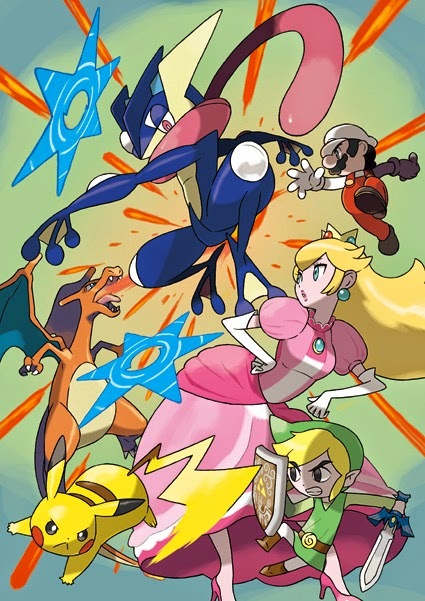 On the other side of this, some of the Pokemon themed fighters such as Lucario and newly announced Charizard both have their mega evolution forms from Pokemon X and Y when they do their respective smash attacks. These won't affect how the character handles; it just temporarily powers them up. Greninja, the water starter from Pokemon X and Y has also been revealed to be in the game as well. With the lack of story mode, a lot of focus is being put on the multiplayer side, with local and online modes both being available. Online game types consist of a friends only mode and then two separate modes for playing with strangers, these two gametypes are called For Fun and For Glory. For Fun is random stage selections with items with only your wins being recorded, whereas For Glory is more like tradition ranked matches with Final Destination being a fixed level, no items and both your wins and losses are recorded. If you're worried about leaderboards though, there won't be a number 1 player. Leaderboards are being tracked in a reverse manner with you having a higher number the better you are, showing you how many people you're towering over. On a side note about the fixed level in For Glory mode, most of the stages in the game will have a Final Destination mode in them; this basically removes all the platforms and unique aspects from the stage so you're playing on a completely flat level. A massive amount of items and assist characters were also shown off, as well as new stages. Stages will differ depending on which system you play the game on, with the Wii U version having stages from home console themed levels and the 3DS stages being themed off of handheld games. One example here is the Wii U version of the Zelda stage is Skyloft from Skyward Sword whereas the 3DS version borrows from Sprit Tracks. Got a train to catch! 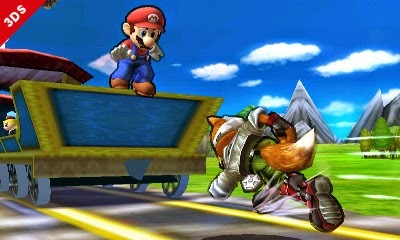 The 3DS version has had a unique game type put in it called Smash Run, in this mode, you have 5 minutes to dash around a large environment defeating random enemies who drop stickers, collecting these stickers will power up your character's different attributes. Once the time limit is up, you go into a 4 player battle using your enhanced fighter and then duke it out to find a true victor! The most important thing here seems to be the release dates! It was announced that the 3DS version will be coming out sometime during the summer and the Wii U version coming a few months later in the winter period. The full video is just below, give it a watch yourself, it's around 40 minutes long, but there's a lot of extra information in the Direct itself as well as a slew of easter eggs! After watching this, all I can be certain on is I want RIGHT NOW, no… I NEED this game! It looks sort of like a Mii centric version of Animal Crossing on crack, with you controlling your Mii and giving it a personality as well as a voice for the first time ever. Players can create a home for your Mii to live in, do activities and mingle with other Mii's you either have on your 3DS or that you happen to Streetpass. I don't think I can really explain any more as this just looks insane; think I'm making all of this up? Watch the video below and see for yourself! See! What did I tell you? I especially liked the dance routine at the end, hopefully all the love for Samus might mean a new Metroid game, oh god please let there be a new Metroid game! Follow us over on our social media pages and join in on the conversation!